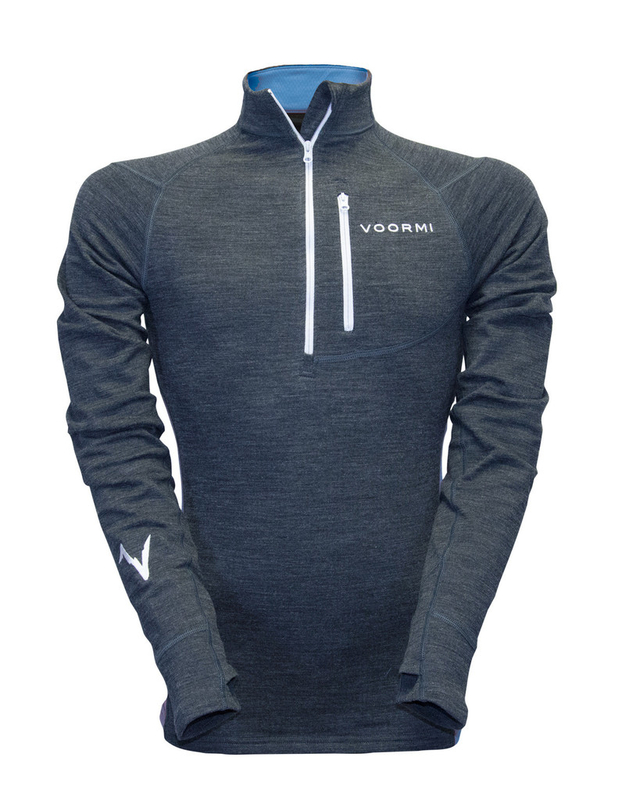 Voormi is one of several brands to come along in recent years touting the amazing powers of wool/synthetic blends. Many of these brands have had a hard time getting off the ground (and in the case of more established players, like Patagonia, wool/synthetic fabric has tended to come and go from the product line). The reality behind this is simple: wool’s an expensive material. It’s certainly a lot more expensive than polypropylene (which is the synthetic, oil-derived chemical that most fleeces are made of). Wool also has reputational issues–we all remember the scratchy wool sweaters we had to wear as children–plus wool is known to be hard to take care of, since a pure wool top will shrink to the size of a dog sweater if you accidentally run it through the washing machine. Although all of those things are true of pure wool clothing, you can chuck that kind of received wisdom out the window when it comes to wool/synthetic blends. Companies like SmartWool have successfully penetrated the under-wader and especially sock market with wool/synthetic blend base layers. I’ve had several pairs of SmartWool-style base layers for almost a decade now, and after hundreds of trips through the wash, they still look new. That’s right: new. Wool/synthetic fabric is more than the sum of its parts. Unlike pure polypropylene fleeces, it is highly resistant to heat shrinkage (which is what causes your soft Patagonia fleece to eventually pill up like an old tennis ball). Wool/synthetic blends also retain many of the anti-microbial and heat-keeping features of natural wool, making them far warmer and cleaner in the long run than a ‘typical fleece’. All of that is to say that while wool/synthetic clothes are certainly expensive, they have such a long shelf life, in the long run, they are a better investment than a “classic” fleece despite their higher prices. Assuming, of course, they are stylish enough that you’ll want to be seen in them in 10 years. Voormi has that bit nailed. 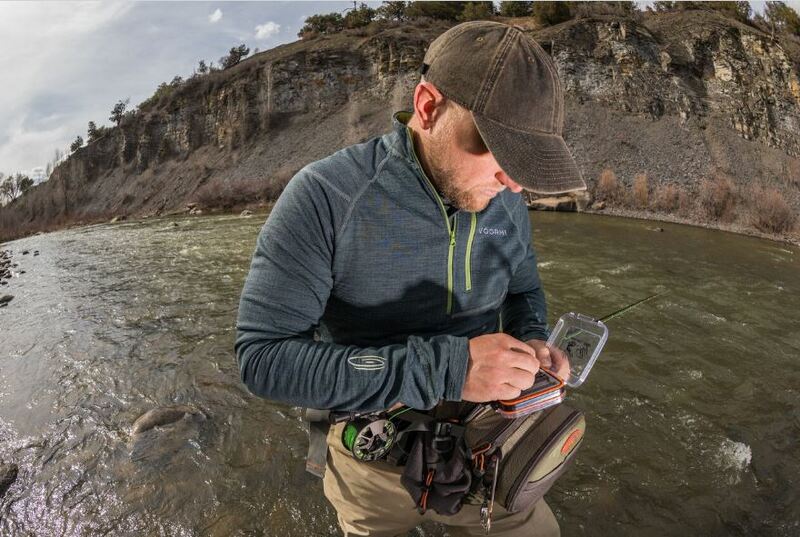 Their new Access fleece was bui lt in cooperation with the design geniuses at Fishpond (who really, truly understand fly fishers’ needs). They are simple enough to wear out on the town, warm enough to serve as a light jacket, and smart enough to have useful features like thumb holes (keeping sleeves in gloves where they belong) without overkilling on pouches and pockets, like a 1990s X-men costume. Structurally, these tops tend to have more body than a typical fleece; the stretchiness of the wool/synthetic blend is augmented and in some cases held in tension by the smart, body-shaping stitching. They wear less like a t-shirt and more like a broadcloth uniform coat or (and I kind of hate to say this) a superhero costume. * They tend to make you look good. I threw an Access fleece on for a very chilly night of boating around Georgia’s Lake Lanier, chasing stripers into the very wee hours of the morning. It kept me warm, blocked the wind, and to some extent kept me dry. The next day, I tossed the same top back on to attend a birthday party — it still looked unworn. Double duty garments like these truly hit the sweet spot for your bang for the buck. They’ll keep you going on the water, but they won’t sit unused in the back of your closet until your next outing. While the $199 price tag is closer to what you’d expect to pay for a softshell jacket, in the long run, this serves the same purpose and then some.